Reports have surfaced that singer Rockwell has been arrested at his home after having a fight with his housekeeper. TMZ reports that police were called in Venice, CA by the housekeeper on Thursday afternoon saying that the singer had struck her after she failed to make him a sandwich fast enough. Rockwell was born Kennedy William Gordy, the son of Motown founder Berry Gordy and Margaret Norton. 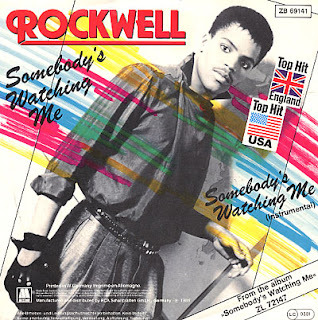 He was signed to Motown without his father knowing to avoid any nepotism and, in 1984, released his biggest single Somebody's Watching Me (#2 Pop / #1 R&B / #3 Dance). He followed with minor hits such as Obscene Phone Caller (1984 / #35 Pop), and Carme (1986 / #46 R&B).